“Narcos: Mexico” season 2 has been confirmed and is speculated to premiere before 2019 ends. Meanwhile, the first season’s finale hints that the upcoming plot will cover intensifying crackdown on Mexican drug traffickers. It is still too early for Netflix to reveal specific details about “Narcos: Mexico” season 2. However, fans can always speculate on its release date based on the time it took to complete the production of the previous installment. Screen Rant noted that there were roughly 11 months between the announcement of season 1 cast to the time of the show’s premiere. 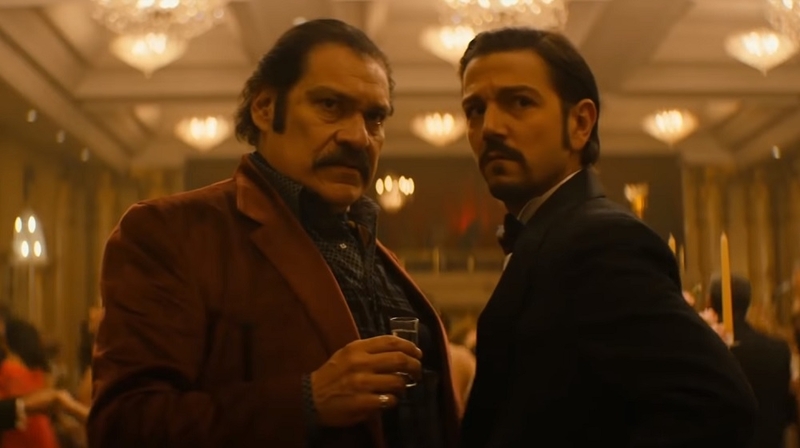 It was reported last December that the actors playing drug lord Felix Gallardo (Diego Luna) and Drug Enforcement Administration (DEA) Agent Walt Breslin (Scoot McNairy) are already in Mexico and have started filming “Narcos: Mexico” season 2. This could mean that the series might maintain a late-in-the-year premiere. So fans can expect new episodes to arrive sometime in November or December 2019. The final two minutes of season 1 episode 10 says a lot about the upcoming events in “Narcos: Mexico” season 2. The finale was titled “Leyenda” — a nod to the DEA’s Operation Leyenda in the ‘80s. It was billed as a homicide investigation following the torture and killing of Agent Kiki Camarena (Michael Pena) in the hands of Gallardo. However, the unveiling of McNairy’s Walt Breslin and the scenes he was involved in the season 1 finale suggest that Leyenda was not a typical type of investigation. He practically smuggled high-powered weapons into the Mexican soil. He then met with other Americans implied to be DEA agents as well. And these scenes clearly build up what awaits in “Narcos: Mexico” season 2. Walt showed the other men a piece of paper which they were instructed to learn, memorize, and burn. He then said, “Time to cross some names off this f******* list, boys.” The paper turned out to be a hit list filled with photos and information about Mexican crime bosses including Gallardo. Walt’s ending lines in season 1 then hinted that the “Narcos: Mexico” season 2 plot will explore on the American-Mexican war on drugs.